Let's talk about the Children of the Forest's vow to get rid of mankind once and for all. The real motive of the Children of the Forest in "GoT"
There is no doubt that the Children of the Forest were once a peaceful race of magical beings. But according to this theory, they are not peaceful anymore. In the previous article, I discussed the possibility that the Children created multiple Night Kings during the Long Night. Now, let's take this theory to a whole new level, and talk about their secret vow to get rid of mankind once and for all. This theory also suggests, that the Children of the Forest are not all dead and that we'll see more of them in "Game of Thrones" Season 8 at the Isle of Faces. But before I delve into their secret plan, let's try to understand their motives. Those Who Sing the Song of Earth, as the Children call themselves, had no written language, only the Weirwood trees that remembered. When the Children of the Forest died "all their songs and prayers, everything they knew about the world" went into the Weirwood net. It is said that the Weirwood trees would live forever if left in peace. The First Men, however, had a different idea. Afraid that the Children would spy on them using the carved faces and also because they needed lumber for their holdfasts and farms, First Men chopped down the carved Weirwoods. This led to a war the Children couldn't win for they were seriously outnumbered. So to turn men's numbers against them, they created the White Walkers. What followed is a few hundred years of even more death and destruction. Then, given the fact that the Children couldn't win this war, and First Men didn't want to win, fearing the costs of victory, the wisest among the races met upon the Isle of Faces to form the Pact. Men agreed that they would no longer cut the Weirwood trees, while the Children would give up all the lands of Westeros except the deep forests. And it wasn't until a couple of thousands of years after that the White Walkers returned, ushering in the Long Night. Watch the video down below for more details. 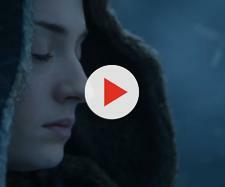 "Game of Thrones" history and lore would have us believe that the White Walkers appeared again out of nowhere during the Long Night, but according to today's theory, it was the Children who created them again because First Men continued to cut down the Weirwood trees, thus breaking the Pact. According to Reddit user MrSilenceT, the Children were kidnapping humans and turning them into the multiple Night Kings with the ability to turn other humans into White Walker generals and to raise the dead as wights, a topic I talked about in the previous article. Only this time, their creation turned against them, so the Children of the Forest fled to the far North. It wasn't until the Last Hero finally found them in their secret cities that they decided to give peace a second chance and agreed to help the First Men fight off the White Walkers. Together, they managed to kill the whole Army of the Dead, except for this one particular Night King, the one we see in the show. In the end, they managed to seal the Night King, far away in the North, beyond what will eventually be the Wall. The peace between the Children and mankind then lasted for another four thousand years until the Andals came and slaughtered the Children even more than First Men ever did. It was then that the Children decided that men can't be trusted. But they couldn't do anything before finding out what's wrong with this specific Night King. After some time, the Children of the Forest finally realized that this particular Night King couldn't be killed simply because Bran's spirit is trapped inside him. Meaning that the only way to destroy this Night King is to kill Bran. The Children then knew that they will have to wait thousands of years for Bran to be born, so they could help him complete his time loop and eventually become the Night King. At some point during "Game of Thrones" Season 8, Bran, upon realizing that all hope is lost, will go to the Isle of Faces where he will connect to the Weirwood net and warg into the man who eventually became the Night King. If you are interested in finding out more about this check out my "The Night King will save mankind" article. As for the Children of the Forest, they also needed to make sure the realm is in the worse possible state so that mankind can easily be slaughtered by the Army of the Dead. To do just that, they had to orchestrate events from behind the scenes. So next time, I am going to talk about the death of dragons, and the real meaning of Valar Morghulis. Stay tuned.